Injuries from auto accidents can be a common source of chronic pain as well as PTSD. Leading whiplash experts in a new study determined that the stress you experience after an accident may increase the risk of you developing long term chronic symptoms. In this study, the researchers selected 44 patients, each of them who had experienced whiplash type injuries during the previous month. Each of these patients were examined, an MRI was performed to evaluate the musculature and specific tests were given to evaluate PTSD or post traumatic stress disorder. 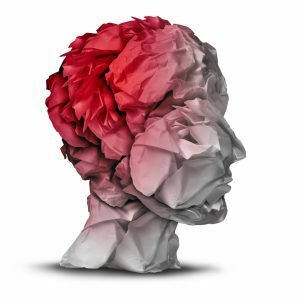 The researchers determined that those who were most likely to develop chronic pain cycles were those who demonstrated high pain levels initially and signs of PTSD. It was also found that the patients experiencing PTSD also developed noticeable changes to the muscles in their neck. The results of this study demonstrate that auto injuries cause more than just spinal damage: It also produces an unhealthy stress reaction. This stress reaction can possibly create pathological changes to the muscles of the neck. Prior research demonstrates that early treatment is essential in preventing chronic pain from whiplash. Chiropractic works with your bodies natural healing power and to restore the natural functioning of your spine. Also, it has been found that chiropractic care can help to reduce stress levels which can potentially aid in reducing chronic pain cycles.